Going to the Australia game for the second window of FIBA World Cup Qualifier, we knew who are the heavily favored team. From the fans' standpoint we were (almost) sure the Boomers will breeze through our boys. But we're somewhat stubborn to keep a ray of hope that we'll give a hell of a fight and maybe we can pull the rag beneath the Aussie's feet - in their own home. The former happened at least for a great portion of the first 25 minutes of action, the latter proved to be too much of an ask. We appear to have made the home team sweat and managed to give them the toughest (thus far) game on their fresh membership of the FIBA Asia region. But what has really been the reason why we lost despite the obvious disadvantage on basically all areas of the game? 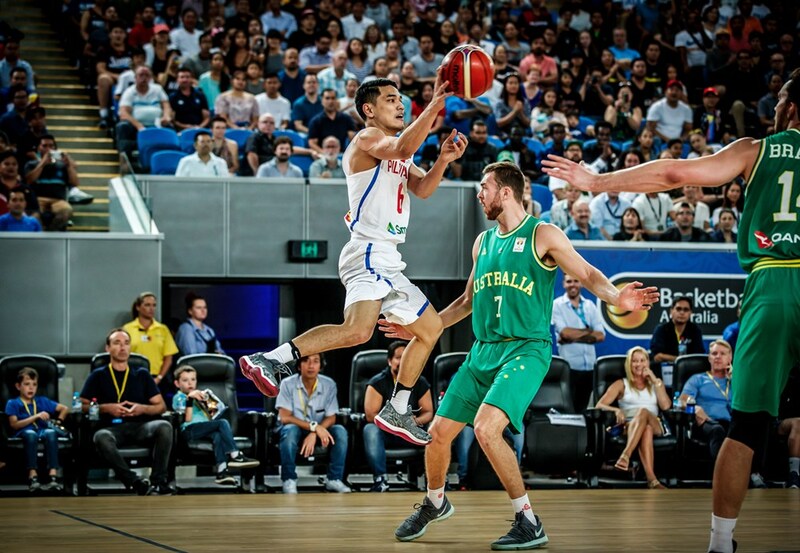 When we beat China (FIBA Asia Cup 2017) and Iran (FIBA Asia Championship 2015), and almost floored Argentina and Croatia in the 2014 World Cup what we saw was surprise on these teams' eyes. They didn't expect us to play the way we did which gave them a hard time adjusting. But that didn't happen with the Boomers. They stayed focused and did not rattle. Kept their discipline and stuck to their game. They were able to effectively adjust on what we were giving them until they finally overtook and grabbed the game away from us. This is similar on how France (2016 Olympic Qualifying Tournament) beat us. We lead by as much as 10 at one point but they did not panic and like a surgeon they played their game plan with so much precision. As Coach Andrej Lemanis lamented they drew a game plan for 40 minutes and played it as planned. They did this even with an atmosphere that can almost be called a Gilas home game with a noticeably majority of the crowd came to cheer for the Filipinos. That clearly showed how poised and composed this great team is. Gilas Pilipinas played well in the first 2 quarters and a half, leading as much as 5 points sometime in the 2nd quarter. Our boys stood in front of the Australian's attempt to go inside, we clogged the passing lane and were going hard to the basket with out a trace of being intimidated. Until we were not anymore. We slowly see them molesting our inside defenders. We stopped contesting the rebounds both defensive and offensive. Our passes became predictable, not to mention that we started the game with early violations in in bounding the ball. Was it fatigue? Did we really just lost steam? Another staggering area where we really need to be better is on our free throw shooting. Had we made just half of what we threw the game would have been different. We cannot alter the fact that we're undersized or we're outranked - but in the free throw line? No one is guarding us, no Angus Brandt or Matt Hodgson standing between you and the rim. But we failed on that. Our shooting coaches must come up with a way on how we become consistent in the charity line. But aside from that our boys themselves must act on their own to be the better version of our Australia game when it comes to shooting from the foul line. But all is not lost after yesterday's defeat. We're still very likely to make it to the next round as top 3 teams of each group will advance. And as we look forward to that let's focus on the positive key take aways from this game. We saw Junemar Fajardo playing well against the other elite big men of the opposing team. The Krakken has to keep on asserting himself in the middle. Our young back court in Keifer Ravena and Kevin Alas has made good accounts of themselves and has given us a lot to look forward beyond the Jason Castro era. In closing, this game was played with in the expectations of many, a stronger team beating a good team. But has also shown that we can compete. World ranking of our opponents does not matter and so is playing in their home court. We have to embrace the thought (but with out over doing it) that we belong to the world level of basketball. Though statistically and physically inferior we have to stop thinking we're the underdog, that we'll just go to the games to compete and it's okay that we're not massacred. Our mindset must change. Thanks Gilas Pilipinas for the gallant representation of our country, thank you to our Kababayan who made the game feels like we're at home. We still have a long way to go in this qualifiers. Laban Pilipinas! Puso! Wala ng puso sila para lumaban ng patayan. Nasa magnolia ang puso nila. Dapat makahanap sila ng bgong puso nila.